As a parent, sending your child to college can be a hard transition. Trying to set students up for success without being overbearing can be stressful, but it doesn’t have to be this hard. With the proper tools you’ll be able to promote peace of mind as you send your own kids off to college. Some new college students, excited by their new independence, forget to check in frequently with their worried parents. It’s important that they know you still want to hear from them and that you want to hear about the things going on in their lives. Some families find it helpful to set up a time to reconnect in a scheduled way. For example, a student may video call their parents every Sunday evening. Setting a regular routine like this helps parents avoid feeling like they’re constantly pestering their kids and helps students remember to update their parents. The college atmosphere will be a completely new ecosystem for your student, full of unfamiliar people and locations. Without feeling physically safe, your student may have a hard time adjusting to their new home. To combat these feelings of insecurity, students and their parents should work to create a space that is as physically secure as possible. You can also make sure your student understands how to watch out for and handle physical threats, establish personal safety boundaries and prepare responses in case those boundaries are crossed. Pete Canavan, the personal safety expert behind Campus Safety University, says, “Think about and envision various situations that could potentially occur so that you can prepare yourself mentally as well as physically for them.” As a parent, you can help walk your child through some of these scenarios and help them plan out ways to remain safe in case of emergency. 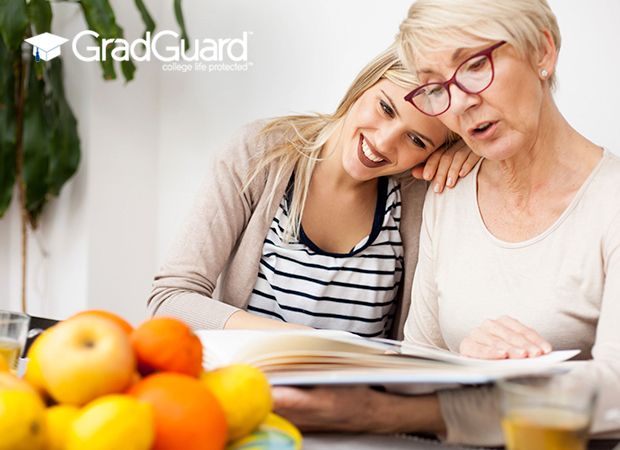 Sending your student away to college is never easy, but knowing they’re in a safe environment — and that they’ll still be able to talk to you whenever they need to — can help put your mind at ease. These next few years will be an exciting time for your child to blossom into an adult, and with preparation and channels of communication, you’ll help them grow and start their adult lives right. College Students Over 25, is it Too Late? Better Safe Than Sorry!